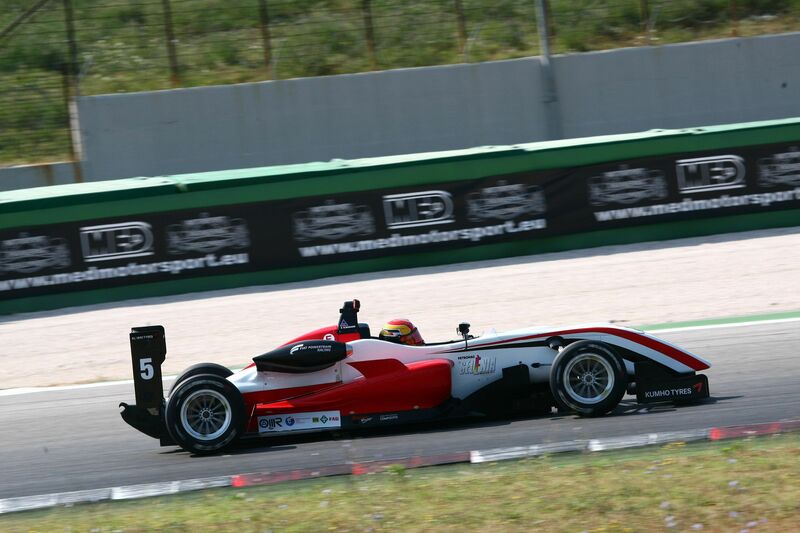 Frenchman Brandon Maisano from Prema Powerteam will start from pole position both in Race 1 and Race 2 in Misano Adriatico. It's a double pole that confirms the feeling of the Ferrari Driving Academy driver with the track that is hosting the championship this weekend, a feeling that allowed him to stay ahead of championship leader Eddie Cheever (two second places for him) and two time third placed Riccardo Agostini. 07/07/2012 - On the circuit named after Marco Simoncelli, Brandon Maisano flew to clinch two pole starts for the longer races of the weekend, the ones that grant the biggest points tally. Maisano confirmed the good performances obtained on thursday and friday in the free practices, when he had always been the quickest of the pack. 1'31"061 and 1'30"826 are the laptimes posted by the Frenchman in todays sessions. Behind Maisano, series leader Eddie Cheever completed a clean sweep for Prema Powerteam getting two second places. Cheever was very close to his team mate, as his gap from Maisano was just 0.062 in the first session and 0.073 in the second one. After launching his new website yesterday, Riccardo Agostini (JD Motorsport) will start both races from second row alongside Henrique Martins (Prema Powerteam). Agostini's laptimes were 1'31"525 and 1'31"183, with his brazilian rival nearly half a second far in both sessions. Race 1 will see Maxim Jousse start from 5th place, with the BVM Dallara. The Frenchman, who returned to the Series since Mugello, overcame italo-canadian Nicholas Latifi (JD Motorsport), driving the second Mygale on track (the other one is driven by Agostini). Race 2 will instead see Latifi start ahead of Jousse. Seventh place went to Euronova's Sergey Sirotkin in Race 1, ahead of Mario Marasca (BVM), both not really at ease on the Misano track. In Race 2 it will be Kevin Giovesi who will start 7th, debuting in the Series with Ghinzani, and again by Sirotkin. In Race 1 Giovesi will start from last place on the grid after not respecting a red flag. Roman De Beer (Victoria World) and Yoshitaka Kuroda (Euronova) will start from 5th row. The Japanese driver went off track in the first session and because of that he didn't manage to take part in the second one. So he will start last in Race 2, behind Roman De Beer and Mario Marasca.